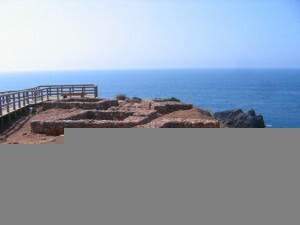 This article on the Islamic Fishermen Settlement in Ponta do Castelo by Carrapateira was provided by the Association for the Defense of Historical and Archaeological Heritage of Aljezur. 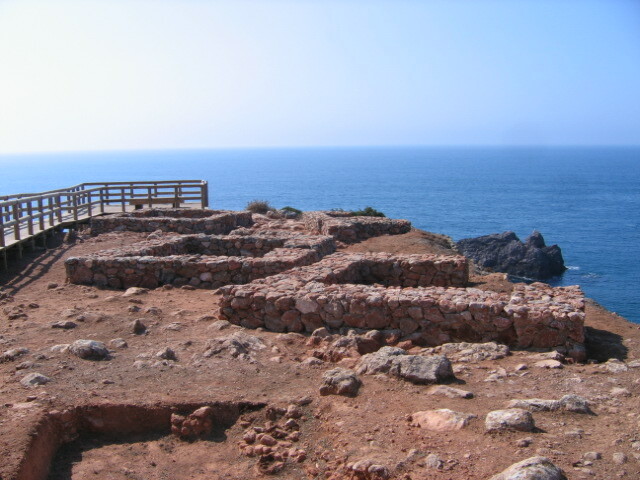 These residential structures are located in high cliff overlooking the sea. The dimensions and the remains found indicate they formed a small settlement, probably seasonal, dedicated to the exploitation of marine resources. 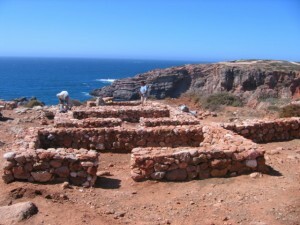 The subsistence was complemented, according to the season, with agriculture, leading to an agricultural/maritime economy, very common in the Algarve Coast in the past century. The remains of nine residential structures have been identified. They are constituted of a single division, of rectangular shape, made of earth-and-plaster on riprap of stone. Some preserve the rests of burning structures and broken pottery in situ, hooks, fishing net weights as well as marine and terrestrial fauna residues. For settlement residents fishing and seafood were the main nutritional sources. Salted and dried fish could enter the commercial circuits, serving as a bargaining chip for different products, particularly cereals, from other regions of the interior. 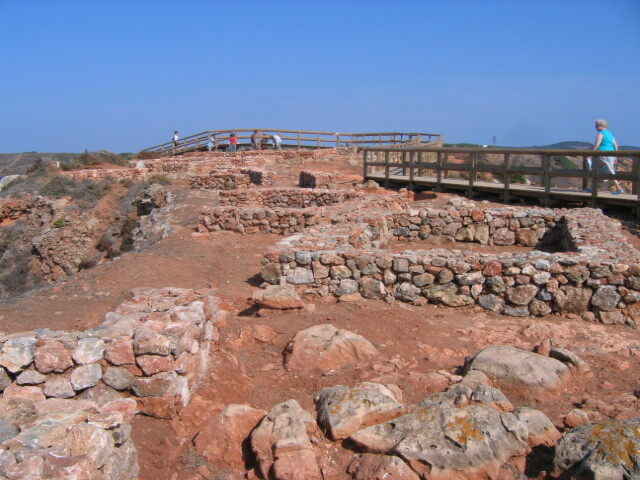 This settlement location on the promontory would have offered poor housing conditions due to its exposure to strong winds almost throughout the year, together with high humidity. This placement suggests it was used for monitoring the sea, perhaps for whale watch. 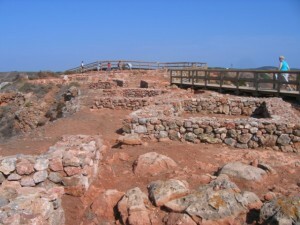 The whale bone found, probably used as a bench, could have belonged to an animal caught there, since that marine mammal, now absent from the sea of the Algarve, was abundant in Garbe al-Andalus. The settlement of Ponta do Castelo is the first fishermen settlement of the Muslim period being explored in the current national territory. It is expected that the study of discovered remains will contribute to the knowledge of those communities life and their cultural legacy. It was partially restored last year, just to give the visitors an idea of how they organized the houses. It is not only a historical place, but also has a stunningly beautiful view over land and sea!